Hy-Vee announced it would be expanding its grocery stores by building Wahlburgers franchises and Orange Theory fitness centers into their grocery shopping experience. This is an excellent way to enhance the often tedious experience that is running errands. 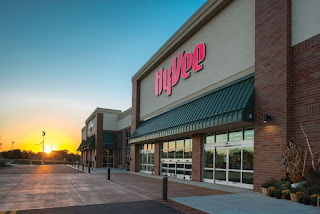 In a world where online grocery shopping is minimizing time consumers spend at the store location, this news from Hy-Vee is providing a much needed makeover to a swiftly evolving shopping experience. I've found that grocery shopping while you're hungry is a textbook misstep. Furthermore, the Orange Theory fitness centers will provide nutrition experts and sampling opportunities so important dietary information is top of mind while an individual is shopping for groceries. Dining, exercise, and grocery shopping are three essentials, and having the option to complete all three in one fell swoop is a total game changer.